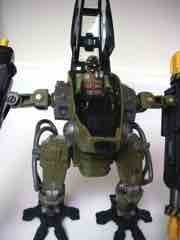 The very notion of a "mech" has been with G.I. 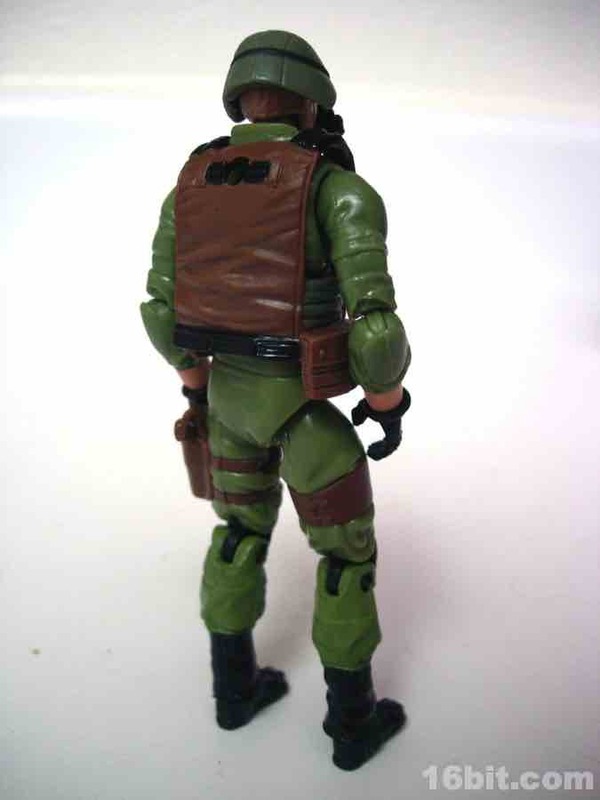 Joe for decades now, kicking off with the original SNAKE armor toy in the 1980s. 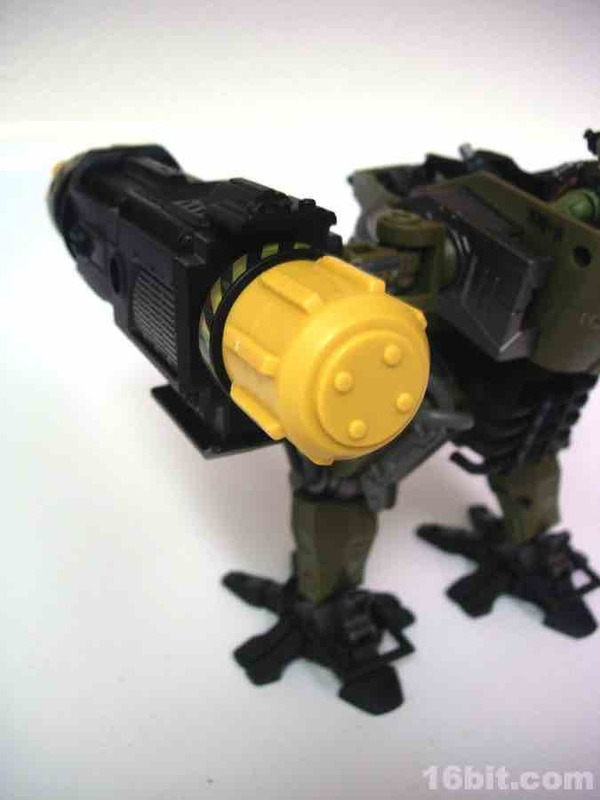 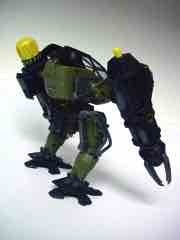 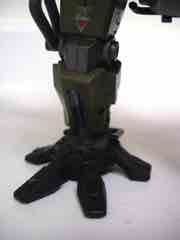 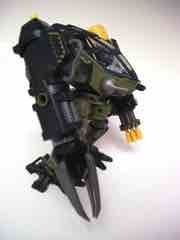 We've seen numerous spins on the robotic suit, and the Steel Marauder with Kickstart is one of the latest incarnations. Along with the Cobra Deviant (which shares much of the body parts), this vehicle is a retooled version of a 2 1/2-inch scale toy from the now-dead Sigma 6 line of toys which, I'm told, has very little to do with ERP as most people know it. The roughly 4-inch tall Kickstart is a fairly plain looking modern-ish soldier, made largely of existing parts. 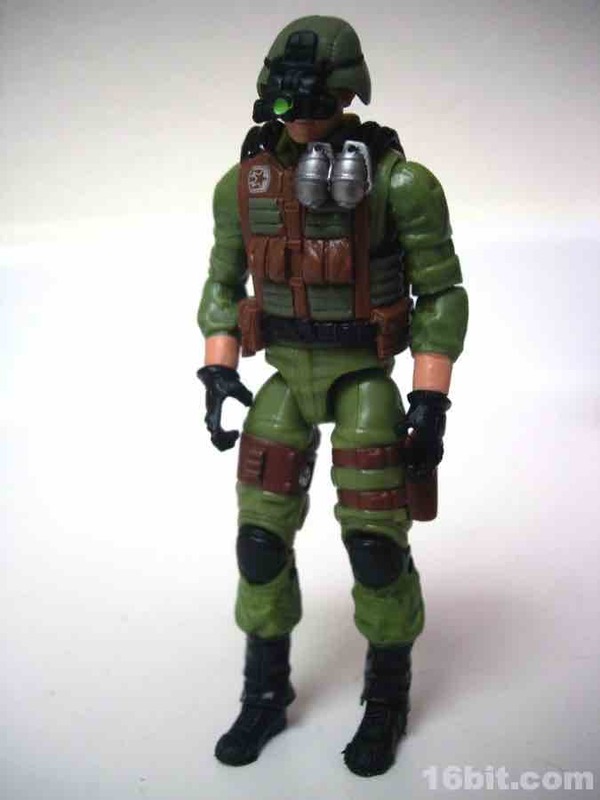 His helmet came from the recent movie line, and his vest was a reuse of the Cobra Viper from 2008. 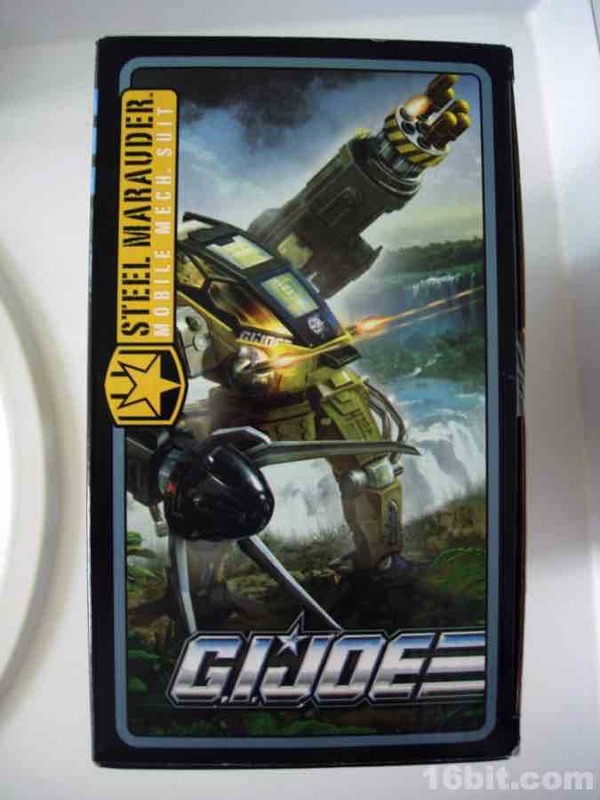 Ensuring they got the most from their money, if you squint, you can even see the sculpted Cobra logo in black right where his belt should be. 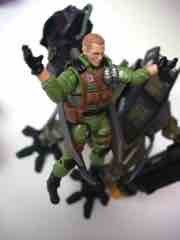 The figure's design was cobbled together nicely, and his gloved hands are great for holding weapons. That is, they would be if he included any. Thankfully other Pursuit carded figures are loaded with weapons, so he can borrow a pulse rifle or a railgun as needed. 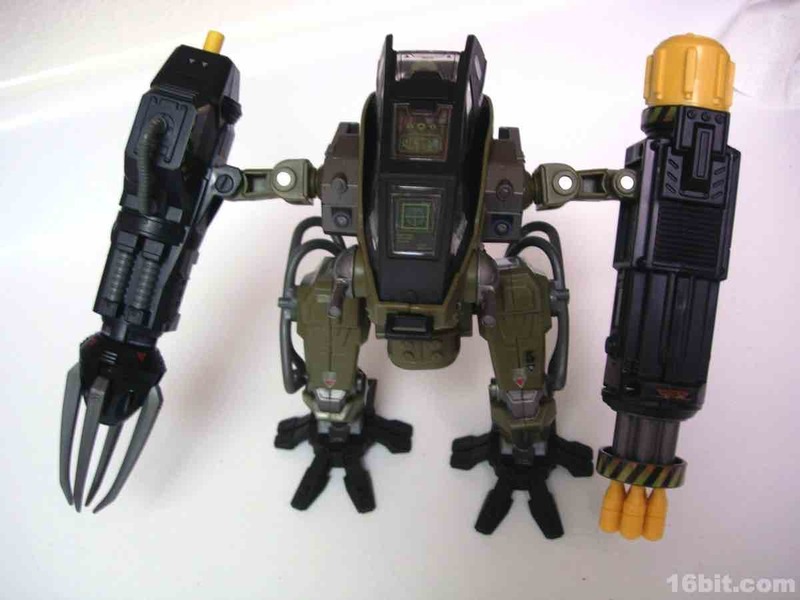 Since Kickstart is largely recycled parts and a pack-in for a vehicle, he didn't get the attention in sculpting that you see in the recent Destro or Duke toys. 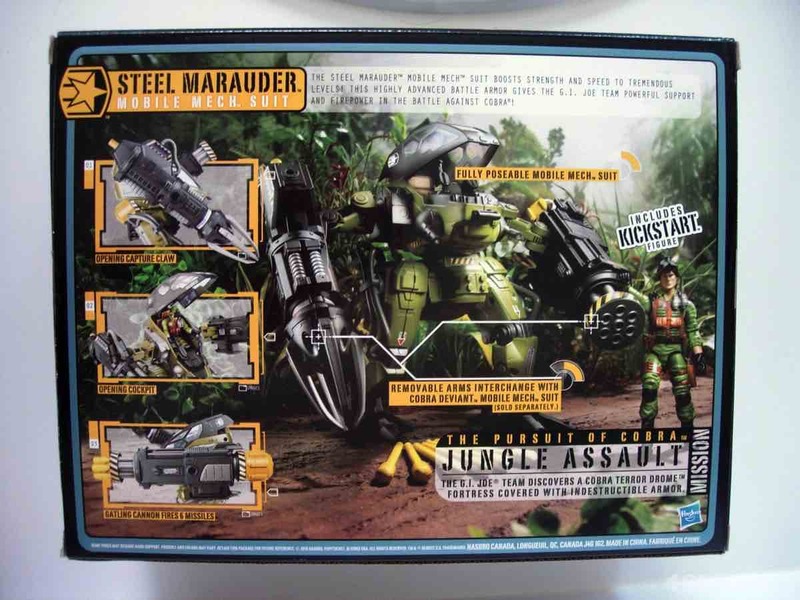 He's good, and his face has a nice amount of personality, but the figure itself probably wouldn't strike you as remarkable. 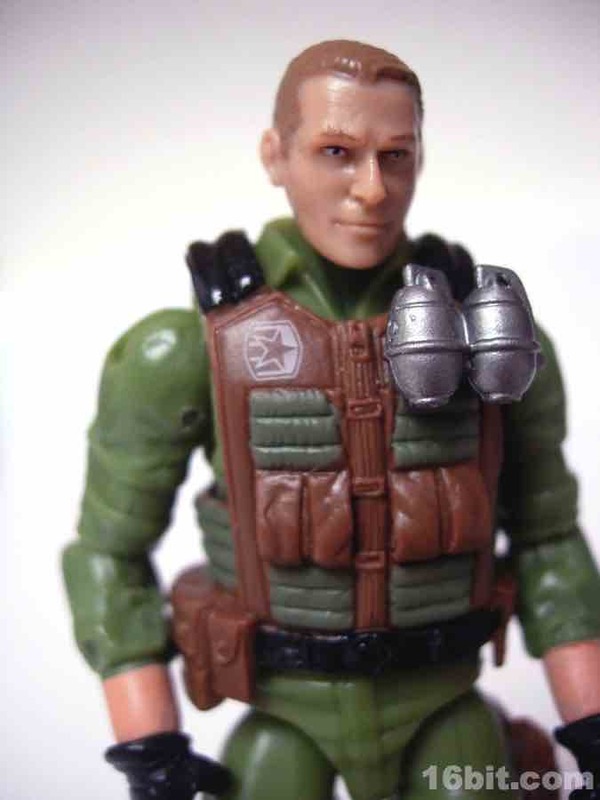 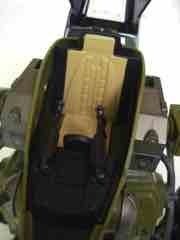 I am impressed Hasbro managed to reuse a Viper torso for a good guy, though. It looks great in brown, those grenades fight right in, and that new Joe logo looks great in white. 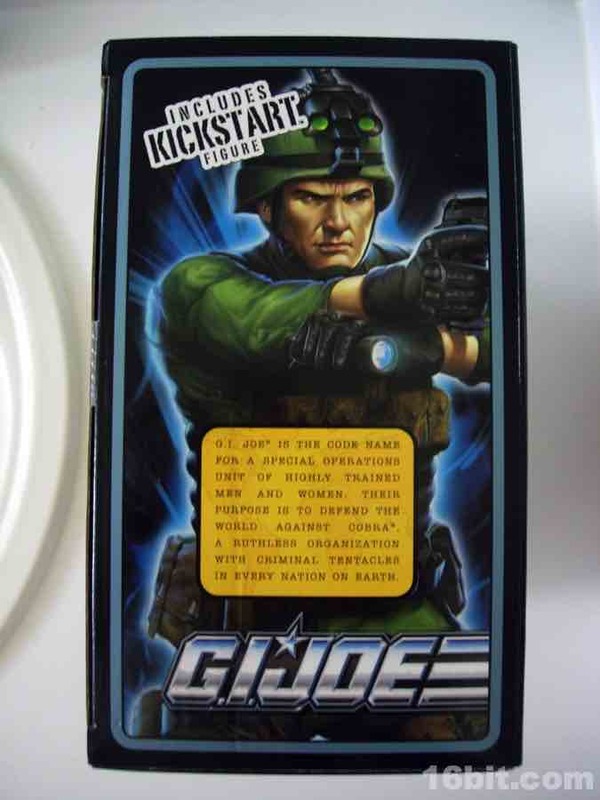 Were I someone to army-build a good guy, I think Kickstart would be a good soldier-type figure and a great basis for a modern greenshirt-style release. 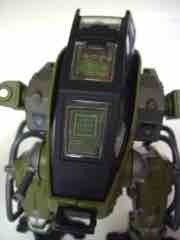 His chief accessory is really big. 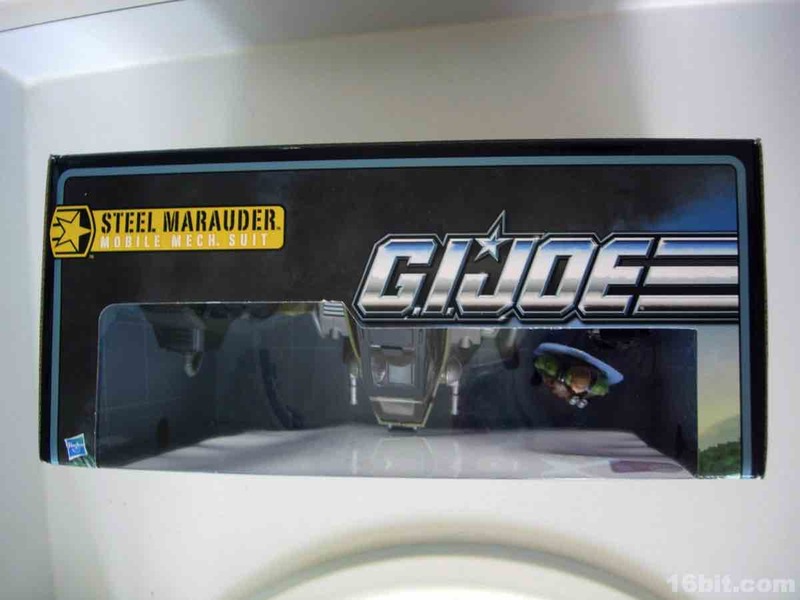 The Steel Marauder is a retooled Iron Hammer vehicle, which started life as a vehicle for mini-figures. 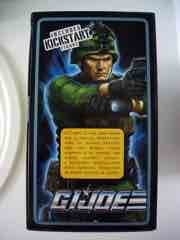 You got more arms and weapons with the smaller-scale release, but the most important thing a G.I. Joe figure can be to most modern fans is scale with other 3 3/4-inch releases, with many going so far as to redesign the interior to fit existing larger figures. 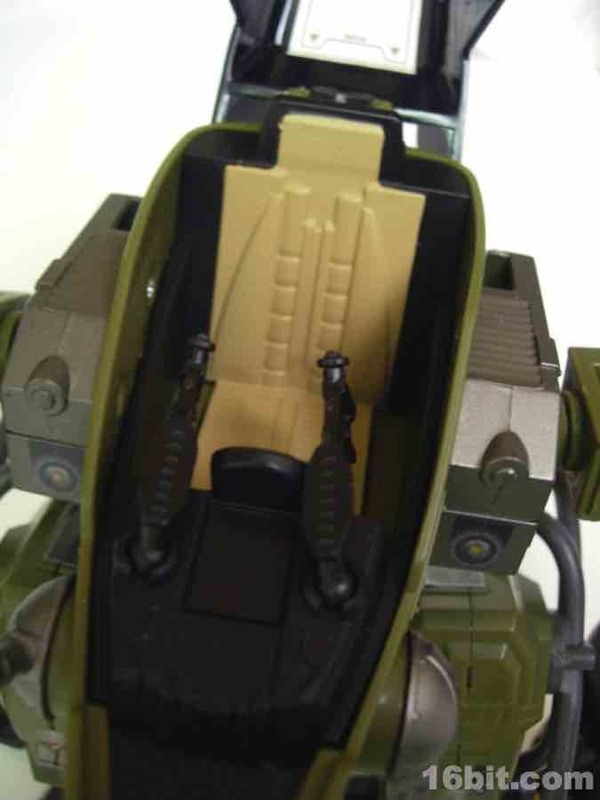 You'll be glad to know the Steel Marauder's seat is a perfect fit for Kickstart, and the articulated controls fit right into his hands with no real problem. There's a good amount of detail inside this green and black robo suit, however much if it comes from a label sheet. Hasbro lost their minds with Pursuit of Cobra vehicles, including dozens of stickers while other brands like Star Wars eschewed labels in favor of painted details. 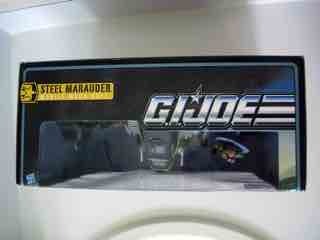 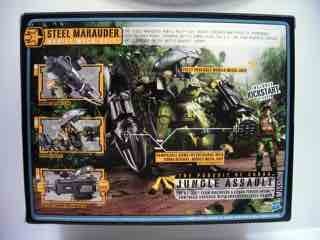 If you open the Steel Marauder, assembly will take minutes, but label placement? Set aside an hour or so. 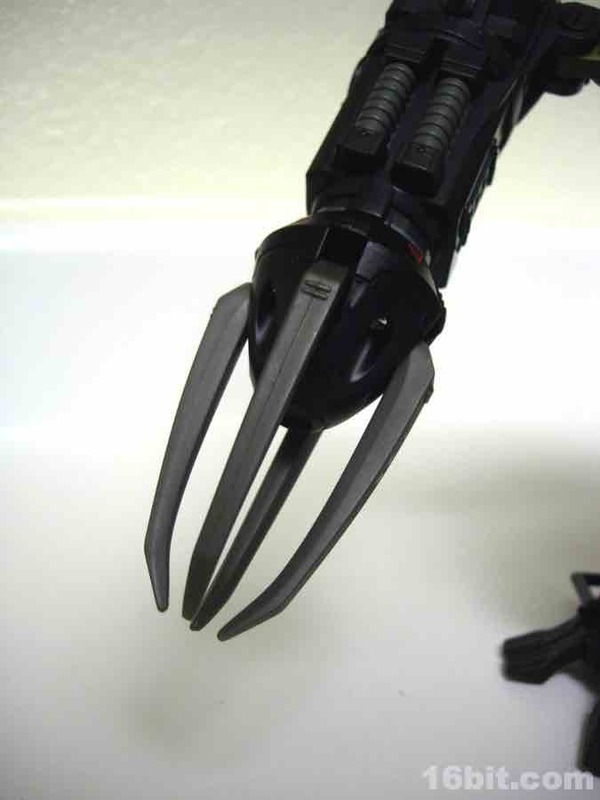 There weren't any issues with black stickers going on black body parts, but it really is a drag to buy a toy and then realize how much work is going to be put in to it just to have it ready for a kid-- in my case, me-- to play with. 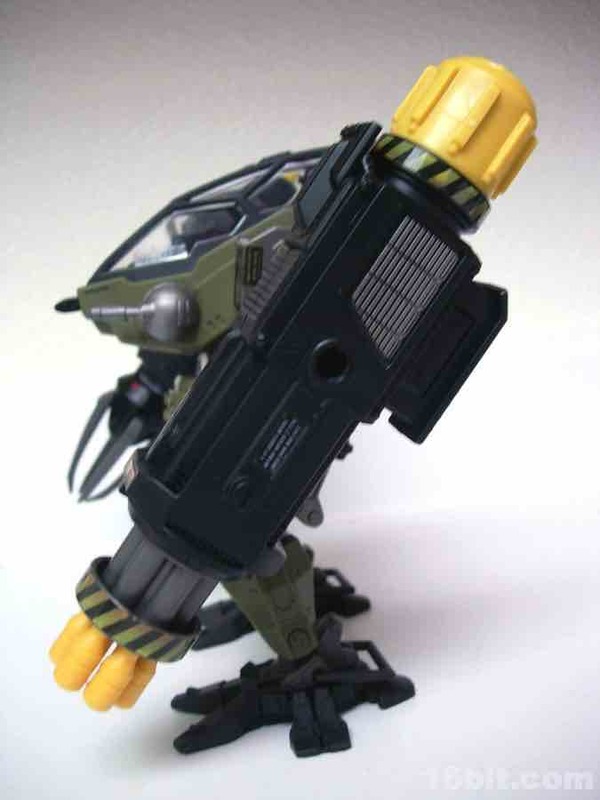 While robots are more or less out of place in the barely-futuristic military world that this line inhabits, it is a fun toy. 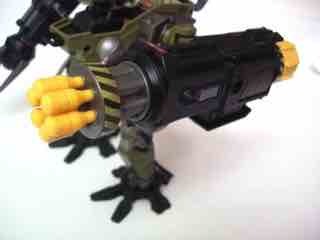 If you rotate the barrel on one arm, big yellow rockets shoot out in succession. The other arm is a big claw which can g.shtml other figures. 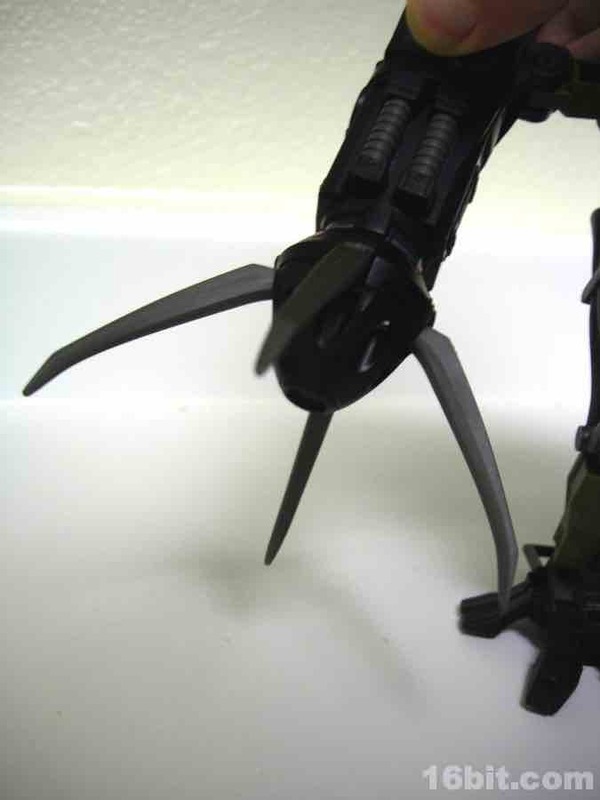 The arms sport a good amount of articulation, plus the legs even have articulated ankles. 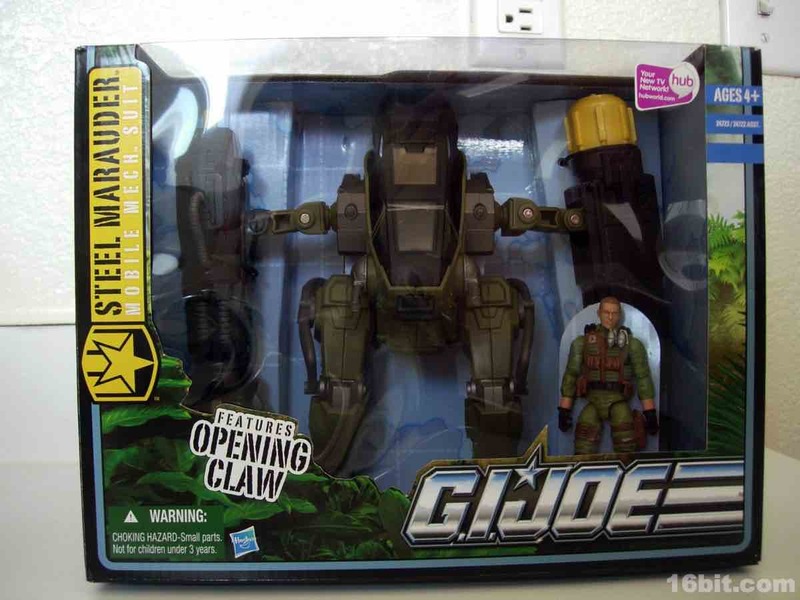 It may not be very Joe-y, but I can't deny that this is one of my absolute favorite toys and it's a rare example of a Joe vehicle that should be more fun for kids than you, the person who reads toy reviews.